The book cover of my fantasy novel The King’s Fall went through many changes. What started as a lighthearted design, which you can see below, turned into something much more grounded in reality. You can follow the evolution of it below. All credit for the artwork goes to Andrzej Pyrchla. The first idea idea came from a strict fantasy point of view, the sort of fantasy you think of when you imagine harmless magic and benevolent kingdoms. As you can see the esthetic of it is very friendly, with its clear sky and bright colors. As you can see here, everything remained very much the same from the first image, it’s only the aesthetic of it that changed. 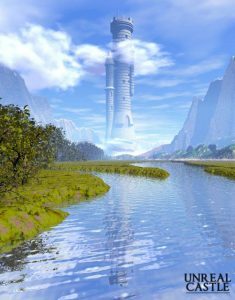 The tower is still there, as well as the mountain range and the body of water. Yet we have a very different impression. 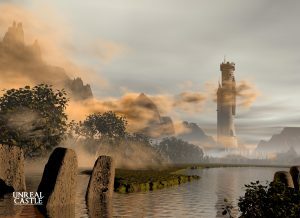 The mist gives it an ominous look, while the washed-out colors, at least for me, seem to give it the look of a deserted kingdom. The third attempt was something more fantastical. The light at the base of the tower almost looks like a force field or some sort of magical barrier, doesn’t it? And here we are! 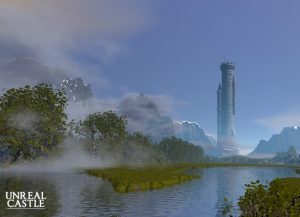 The image that was use on the cover of The King’s Fall. I won’t say anything about it as I would like to hear your opinions. What do you think of the final cover or about any of the earlier designs? Was there one image that you liked the best? And of course for those of you who have read The King’s Fall, what do you think of the final choice? For those of you who have just heard of The King’s Fall, it’s available on Amazon here for the Kindle and in paperback format. You can also read more about it here. Lastly, Andrzej Pyrchla, the man behind creating the artwork, has been doing various computer graphics for some time. If you are interested in his other works, you can visit his website – here. Tagged Adventure, Art, Artwork, Book, Books, Creative Writing, Creativity, Fantasy, Fiction, Patrick Rain, Writer, Writing. Bookmark the permalink. Subscribe to be notified of all the news, short stories, and poetry. All Written Material © Patrick Rain and UnrealCastle.com, 2016-2019. All Rights Reserved. Click here for complete Copyright Statement. 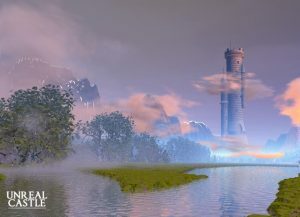 Unreal Castle | Powered by Mantra & WordPress.